George Holt was sailor and mate of the trading sloop Churchill (information for this and subsequent captions is from Lorraine Brandson’s book, Churchill Hudson Bay: A Guide to Natural and Cultural Heritage). We first came upon Sloop Cove almost by accident. 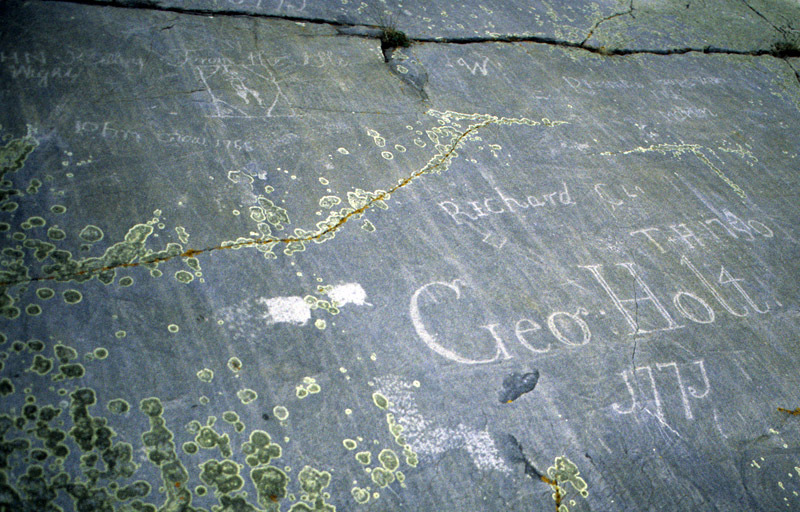 We had heard of it, mostly because of Samuel Hearne’s much-photographed signature carved into the quartzite. We knew roughly where it was across the estuary from Churchill, but we had no intention of visiting it when the helicopter dropped us off at the back of the beach one gloomy summer afternoon in 2001. After all, we were seeking fossil sites, not historic ones. Nevertheless, as we trudged across the rock and moss that lay between us and the likely location of some interesting outcrops, we came upon this long cleft that ran back from the river into the side of the quartzite slope. A pool of water lay in the bottom of the little valley. The rusted chain fence showed that this was an important place, since in general not much is marked or labelled in the Lowlands. Then we saw what the fence was protecting: scratched into the quartzite were many signatures and other markings from the early fur trade days, not just Hearne’s! The great majority of these date from the mid 18th century, with a smattering of more recent examples (it appears that Parks Canada removes anything added nowadays, though). But why are they here? 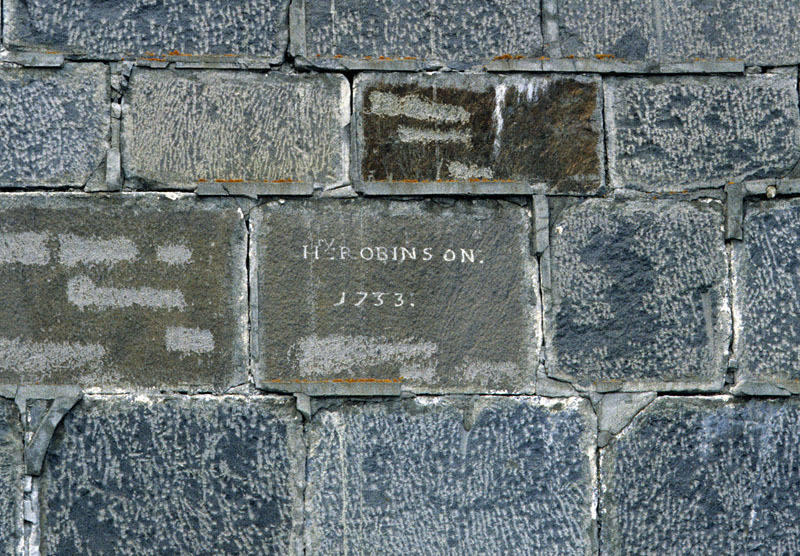 And why did these men spend so much time laboriously carving into this famously hard and tough stone? 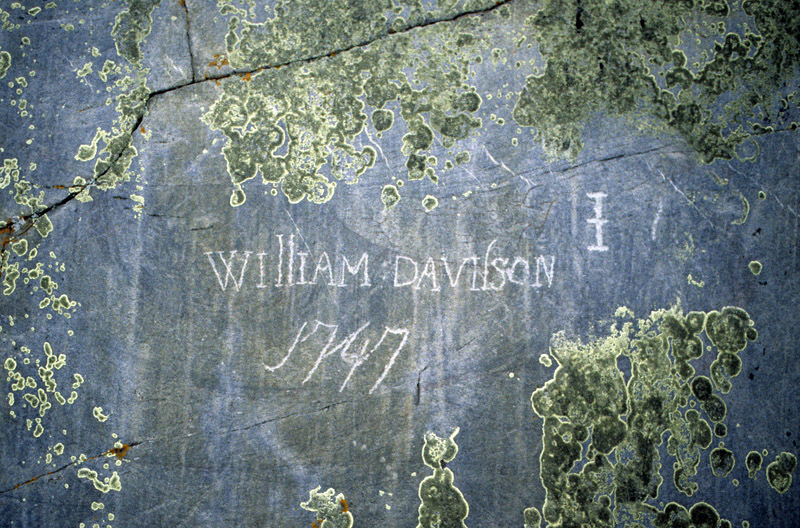 The glacially polished quartzite surface is decorated with abundant graffiti, including quite a bit that is difficult to see unless you get the angle just right. The answer lies in the use to which the cove was put in those early historical times. 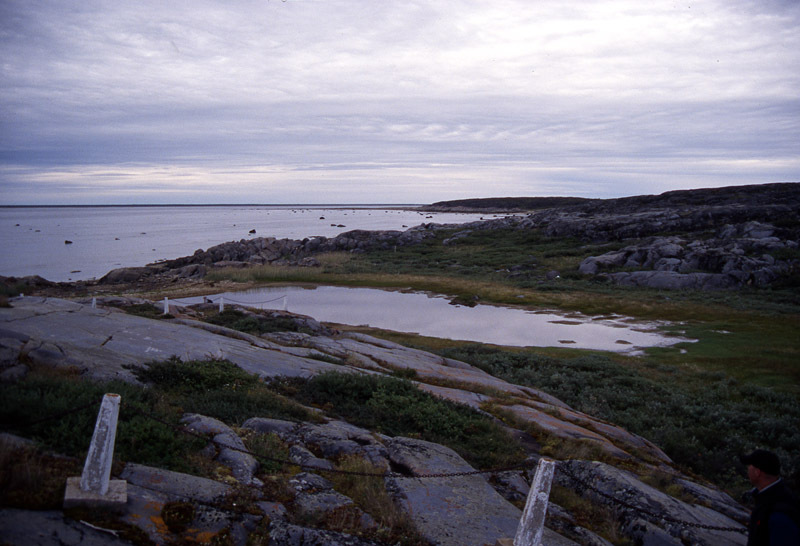 Although we like to think of land as stable and solid, the Hudson Bay Lowlands have been rising ever since the removal of a huge weight of glacial ice a few thousand years ago. Various estimates have been made for the Churchill area, but it is most likely that the river mouth has been rising about one metre per century, and as a result Sloop Cove has risen two metres plus since the 1750s (a pdf showing detailed analysis can be found here). 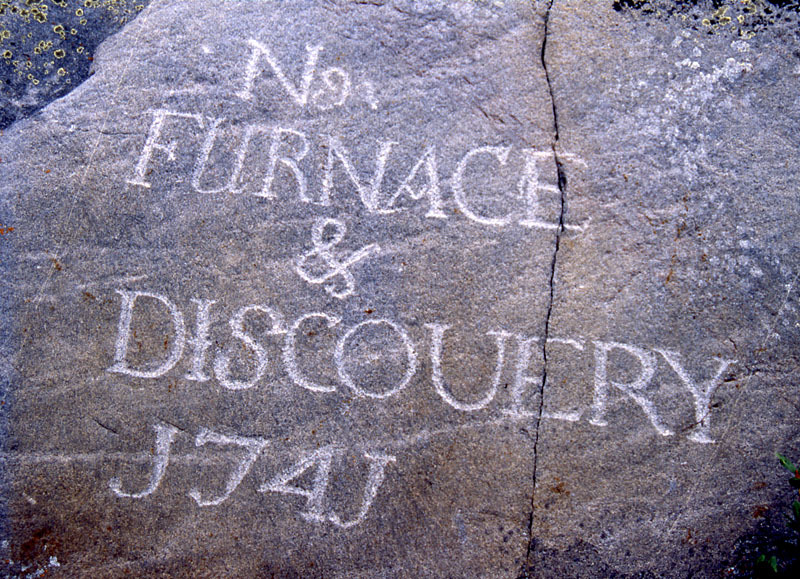 Furnace and Discovery were small Royal Navy ships (bomb ketches) that spent the winter of 1741-42 at Sloop Cove during an unsuccessful search for the Northwest Passage. Back then, the bottom of the cove was probably flooded by salt water at very high tides, and in any case it was close enough to sea level that small ships (sloops) could be hauled out there. Of course this may have been done for maintenance, but most importantly this was the first really protected spot upriver from the Prince of Wales’ Fort, and it was essential to get boats out of the river in winter so that they were not subject to ice damage. Even now the sea ice at Churchill can remain well into the time that southerners think of as “summer”, and as a result the men waiting to re-launch their little ships would have had many days of warm weather before they could set sail. What better way to pass the sunny hours than to leave your mark on the stone? Permanently, as it turned out. 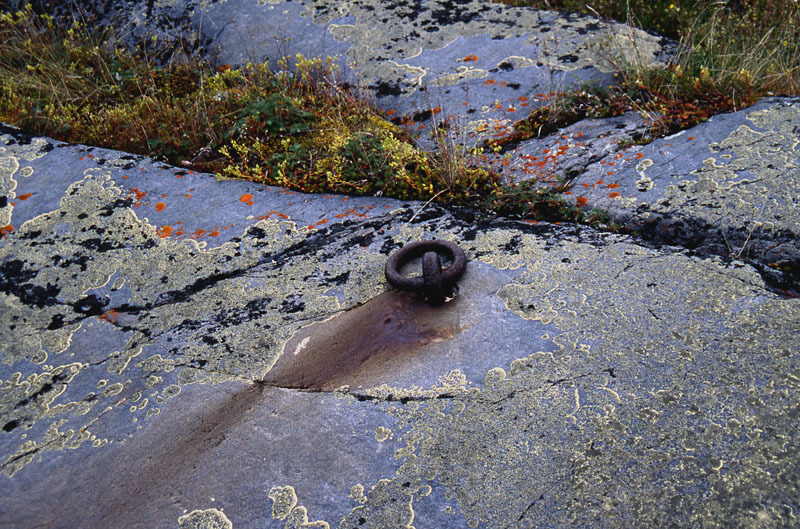 This iron mooring ring at Sloop Cove is similar to those at the old HBC trading post site upriver. With fossils to be found down the shore, we had far less time on our hands and took some quick photos before tramping off toward the strandline. 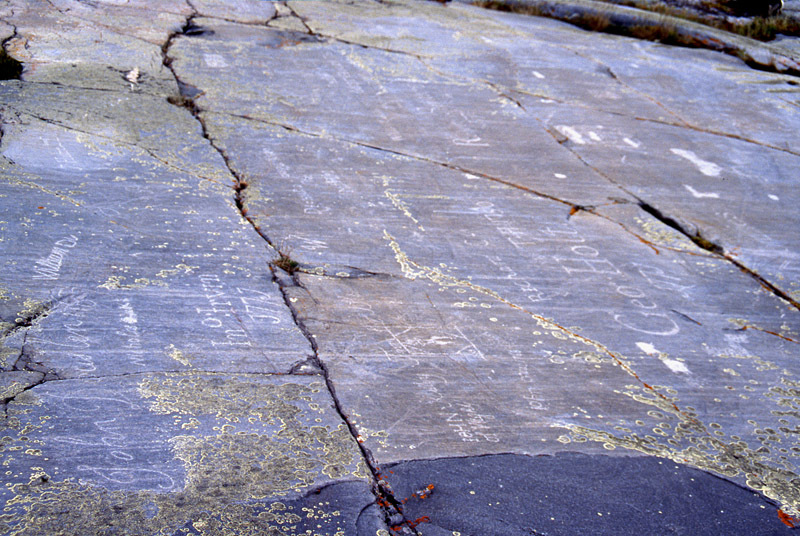 We wondered about the stories behind some of these marks, but in 2001 there did not seem to be all that much information available. Recently there has been some wonderful explanation by Lorraine Brandson in her excellent guide to Churchill. And online there are various resources, including this photographic documentation of the entire set. 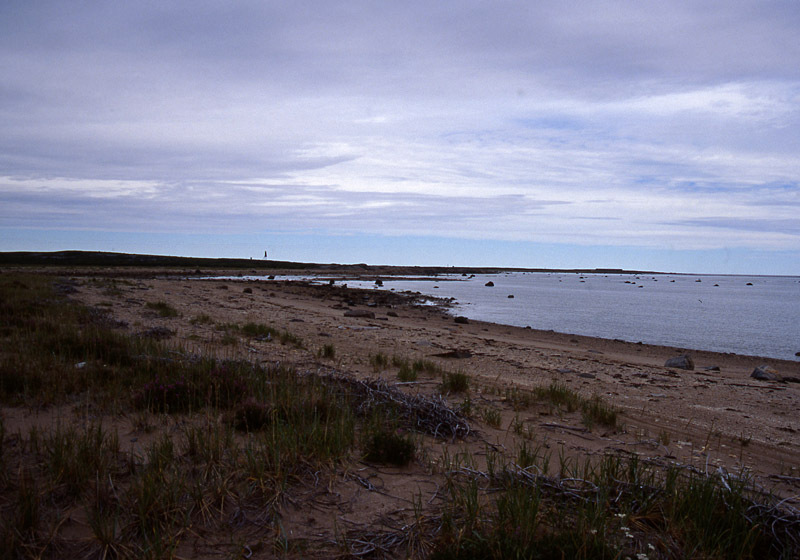 In this view down the estuary from near Sloop Cove, the stone Prince of Wales’ Fort can be seen as the low structure on the right horizon. © Graham Young, 2012, with thanks to Dave Rudkin for permitting me to use so many of his images! Fascinating stuff! 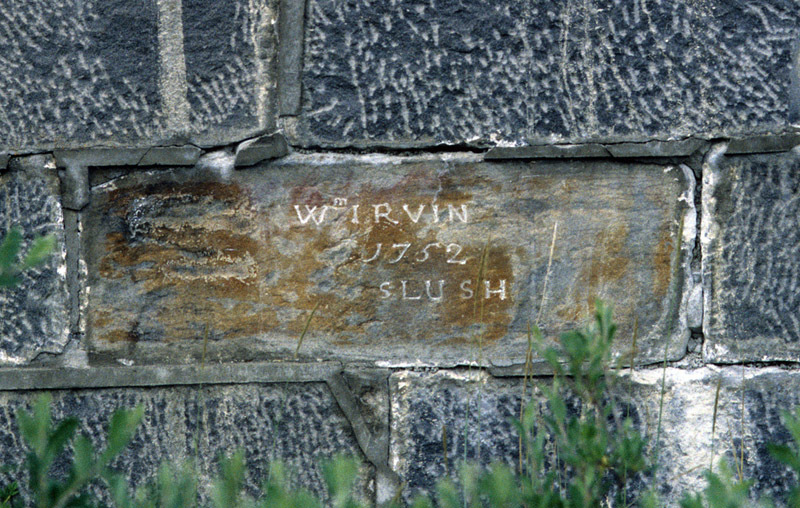 The interplay of the rock, lichens and carved letters is a measure of the time passed and the timelessness and history of the place. The images are also esthetically pleasing. It reminds me of a tale. By popular knowledge, the coastline of Australia was first mapped by the English. However, the French explorer Nicolas Baudin set off in 1800 to explore what was then known as ‘New Holland’, to map the southern coastline and make scientific collections and ethnographic observations. His two ships, Géographe and Naturaliste, met an English ship Captained by Matthew Flinders off the (now) South Australian coast in 1802. 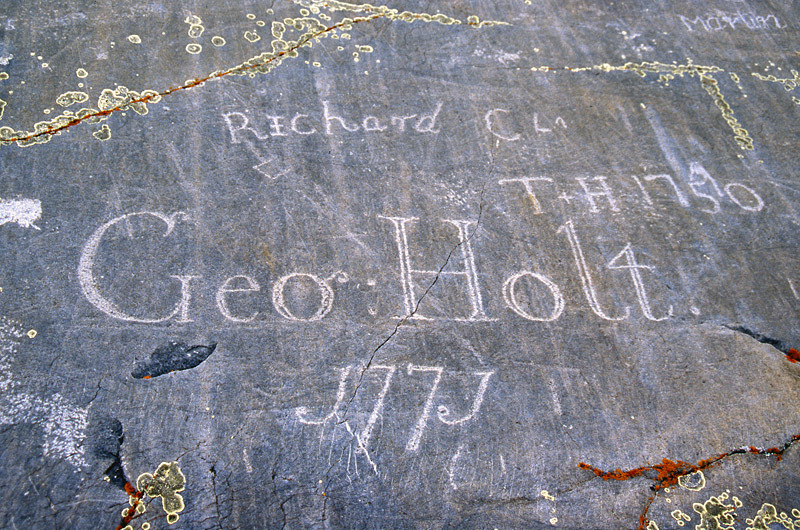 Baudin’s crew left an inscription carved into a coastal boulder on Kangaroo Island in 1803. There are French names for various coastal features along this coast as part of Baudin’s legacy …. and that inscription. Thanks, Dave. Is that boulder still there, or is it in a museum somewhere? It is hard to think of Australia as being that much newer even than Canada (at least in terms of European settlement). The boulder and inscription are still there. There’s also a boab tree (Adansonia gregorii) in the Kimberly region of Western Australia that is famous for having letters carved into its bark. 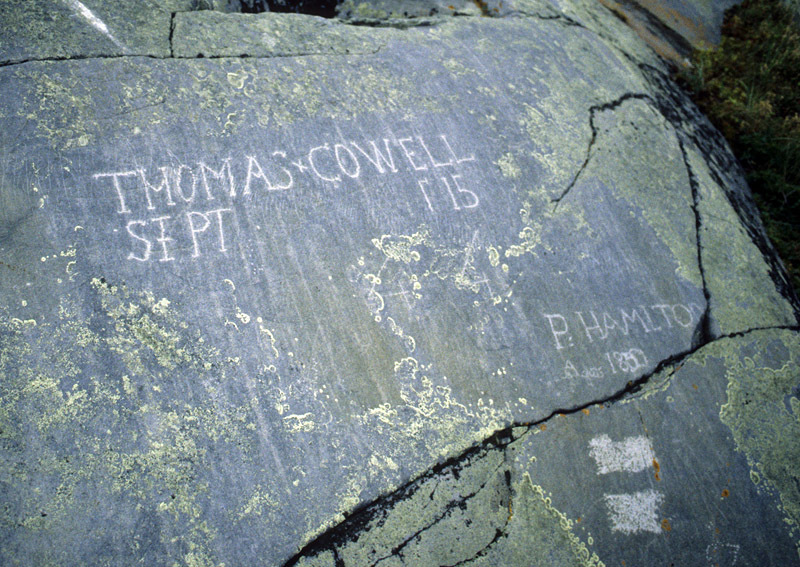 In September 1820 the carpenter aboard HMC Mermaid carved the ship’s name into the corky bark. These trees are close relatives of the baobabs of Madagascar, and like these have swollen trunks so look like giant bottles with a crown of broccoli stuck out the neck. As this tree grew, the letters expanded.